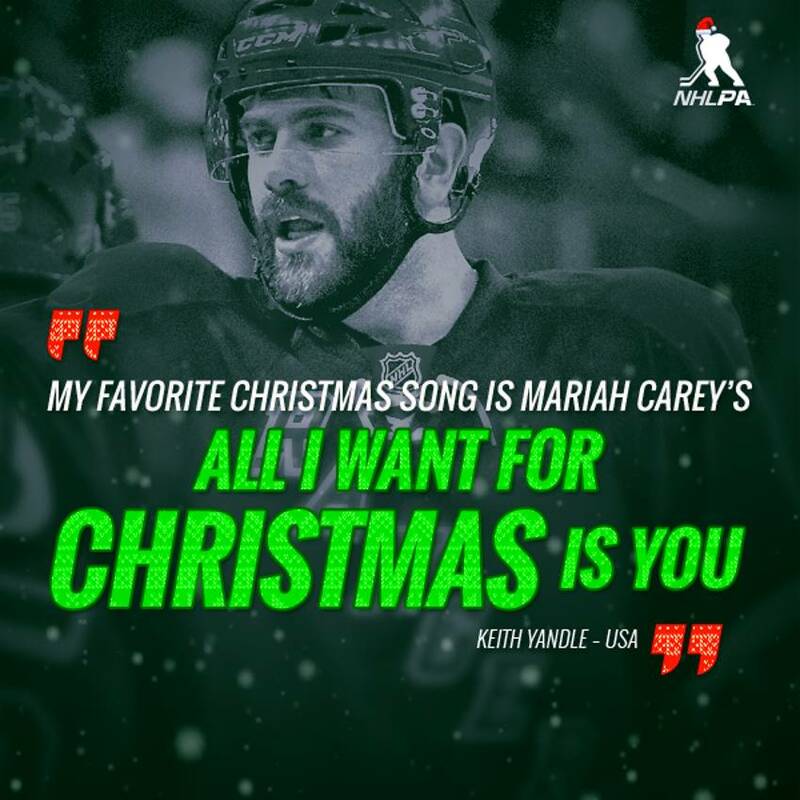 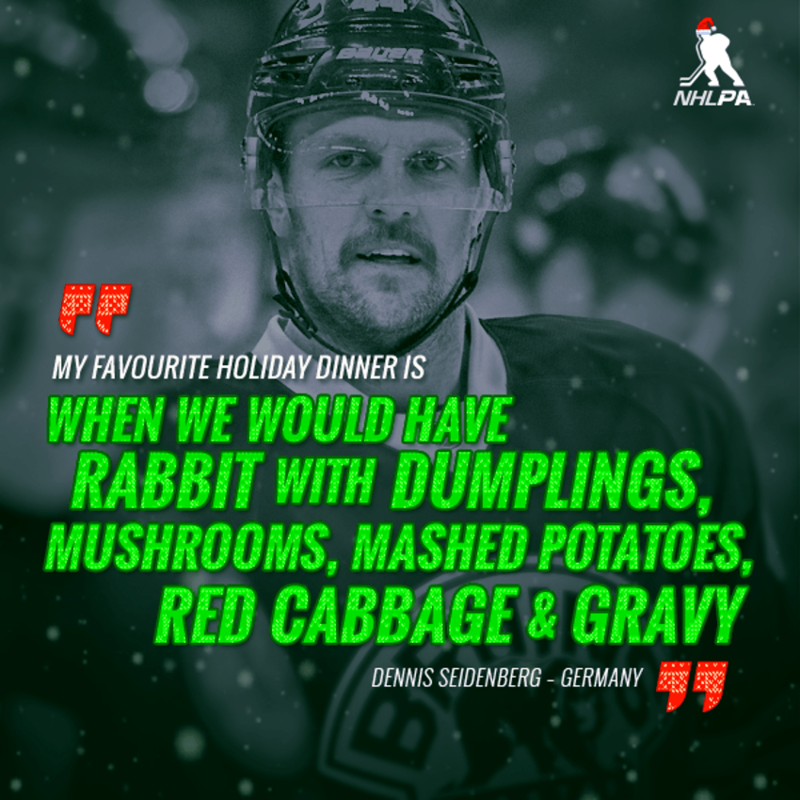 We asked Players from around the league (and the world) to tell us about their favourite holiday songs, meals, traditions, and more! 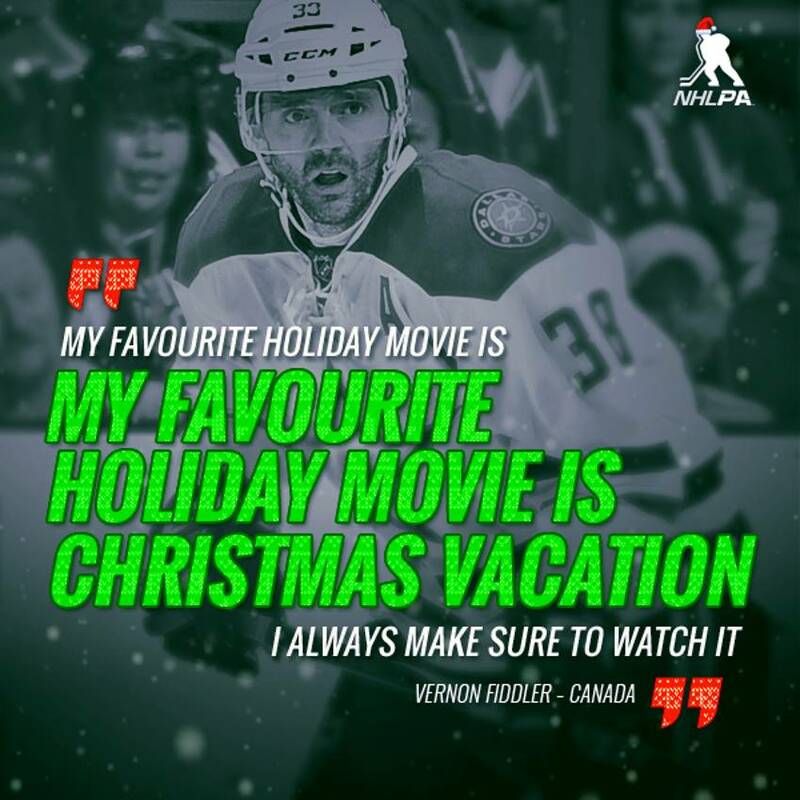 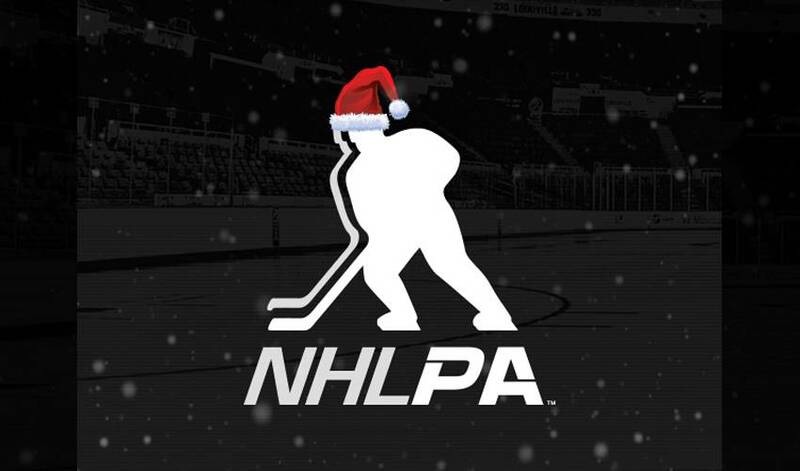 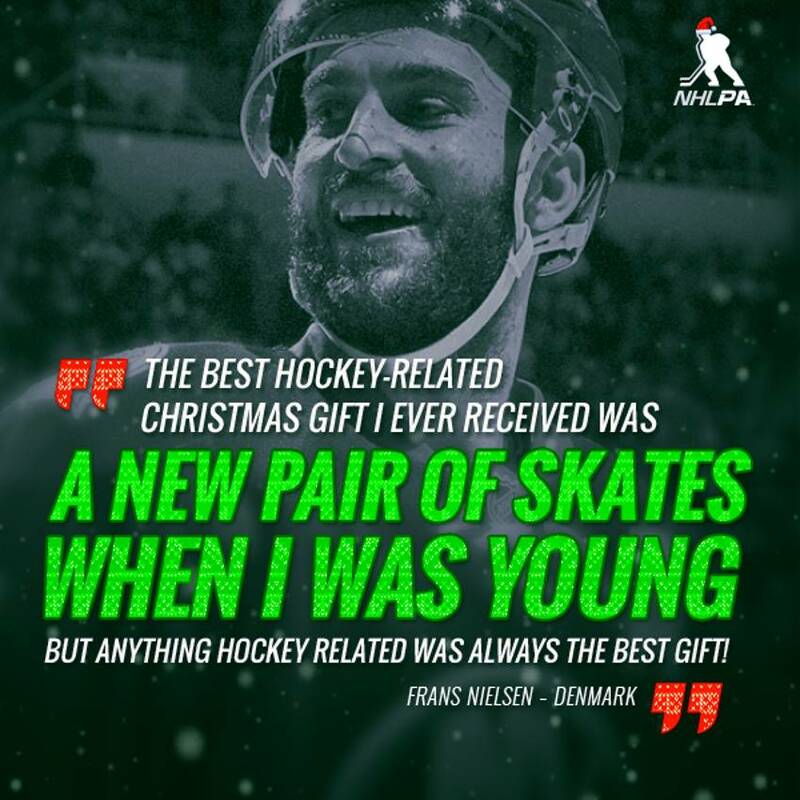 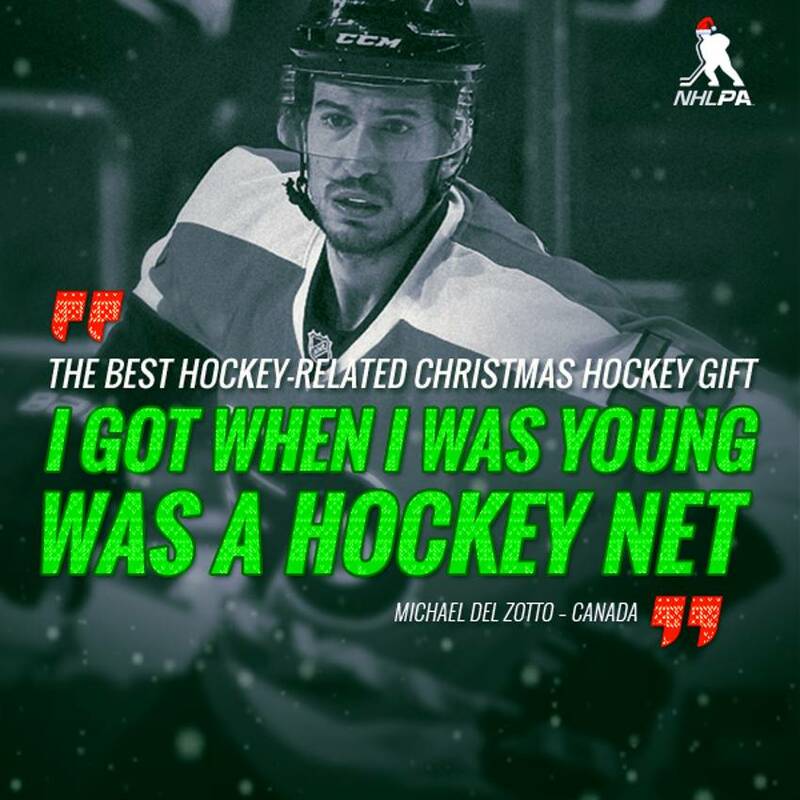 Happy Holidays from the NHLPA! 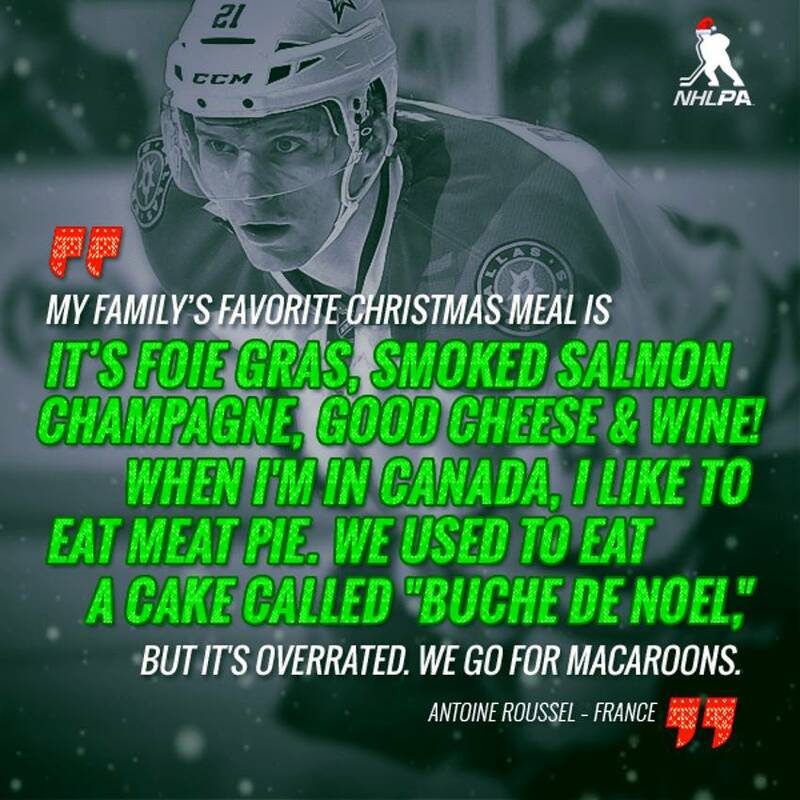 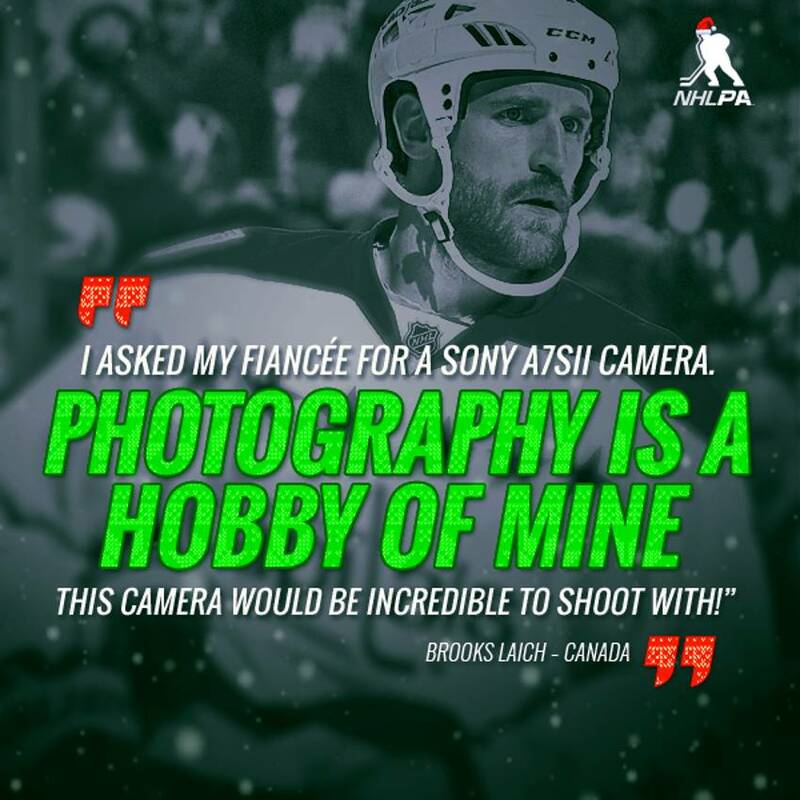 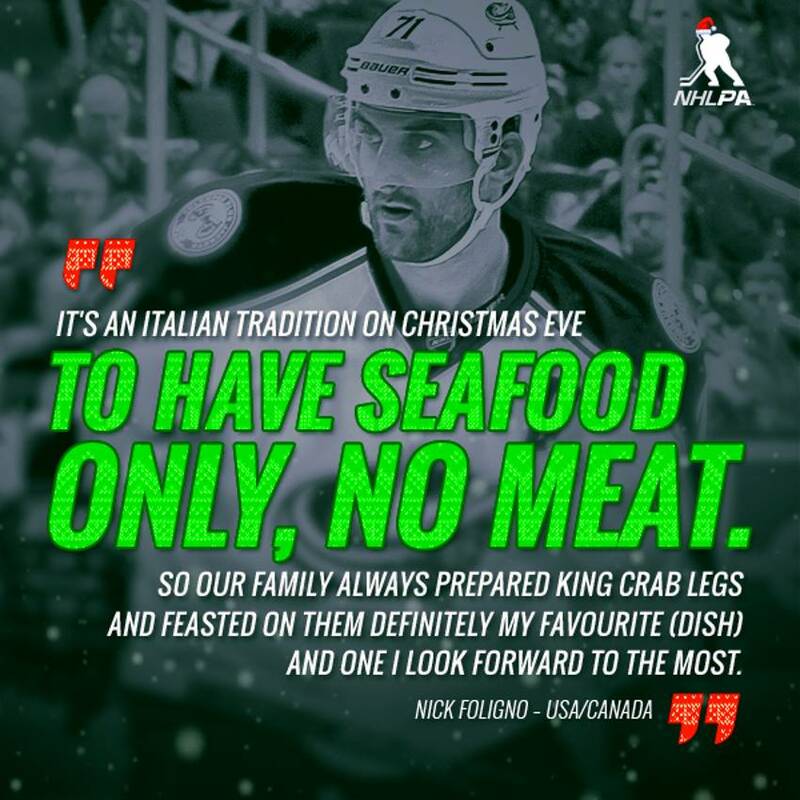 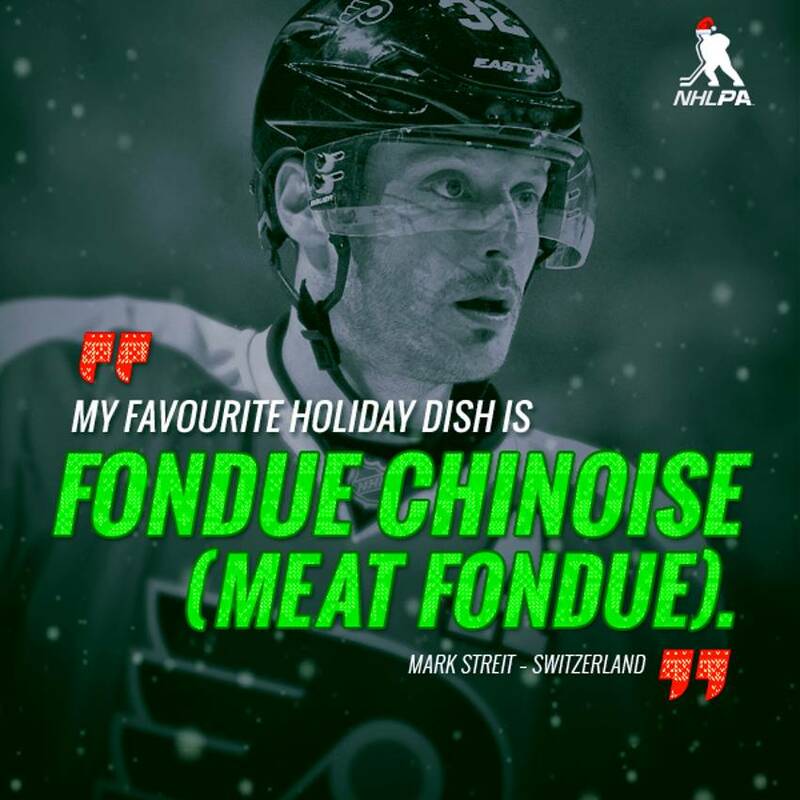 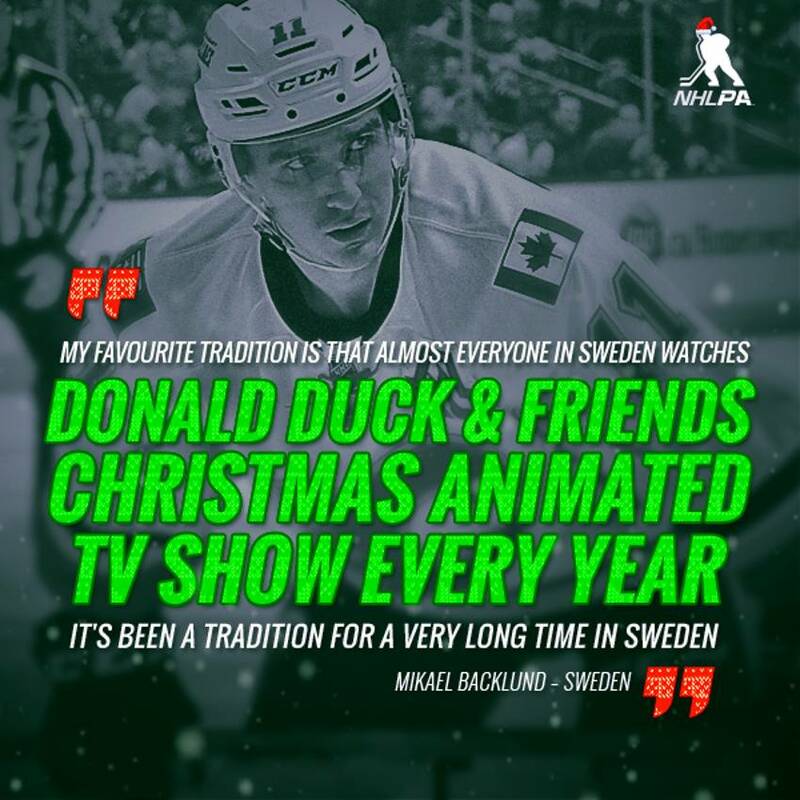 To celebrate the season, we spoke with players around the league and had them share their favourite holiday foods, songs, presents received as kids, and more!